If elected, Bhutan Kuen-Nyam Party (BKP) wants to provide sound political and economic leadership and work with all the Bhutanese, including those in the Opposition party, in a spirit of political tolerance, understanding and reconciliation, thereby consolidating peace, harmony, security and stability as the basis for the prosperity of the country. The BKP manifesto was launched on 25 August. 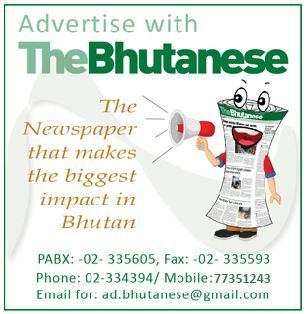 Apart from its pledges, the manifesto consist of 13 priorities or flagship agendas like, human-wildlife conflict, 24-hour drinking water, affordable homes, pothole free roads, tourism in east and south, health care by bed side and meta-data system, a digital Bhutan. BKP will provide 100 percent functional irrigation on the existing infrastructure and beyond. It will ensure that everyone has access to regular drinking water, and undertake a comprehensive assessment of water sources and uses throughout the country, and develop an action plan for protecting and managing the water resources for the future generations. BKP shall exempt taxes on income from rural-based firm production, and do away with all forms of duties and taxes on agricultural inputs. BKP shall accelerate the One Gewog One Product (OGOP) programme, diversify agriculture and link with the dzongkhag or gewog self-reliance objective. BKP said it shall achieve self-sufficiency in essential vegetables and major dairy products and incentivize agriculture-based enterprises in rural areas through a nationwide programme. BKP will enhance rural life insurance benefits to Nu 50, 000. BKP will invoke Article 30 of the Constitution and empower the Pay Commission to revise the salary and the allowance of the civil servants, restructure and rationalize TA/DA and retirement benefits. An affordable housing scheme for civil servants shall be developed. BKP will review the Civil Service Act 2010, and if necessary, propose for an amendment so that the concerns of the civil servants can be better dealt with. BKP pledges to develop the private sector through enabling policies by providing easy and cheaper access to credit, timely bill payment, low transport cost, effective fiscal instruments, minimal government regulations and transparent procurement procedures. It shall support existing industries that are of strategic value to the economy through enabling policies, fiscal measures, infrastructure, training, skills and research. BKP aims to invest in intelligent infrastructure facilitating trade and business growth, with integrated licensing system and integrated export and import windows. 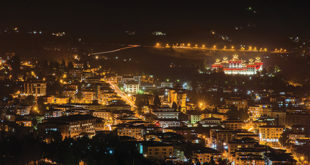 BKP will develop the tourism industry diversification or value addition of products and services, agro or eco-tourism, immigration and labor regulations, entry point beyond Paro and Phuentsholing, roadside amenities, tourism promotion in east, center and south and incentives for development of tourism infrastructure beyond the western region. The development of industrial estates in Samdrupjongkhar, Gelephu, Mongar and Samtse shall be expedited. BKP shall create conducive environment for foreign direct investment and for cross border investment within the SAARC/BIMSTEC region and beyond. BKP will allocate special funds to provide numerous start-up opportunities empowering the youth for self employment through incubation centers, in both rural and urban areas. BKP pledges to provide gainful and dignified employment through policy promulgation and finance (PSL, CSI loans), financial inclusion strategies, favorable fiscal policy, and ease of doing business, trainings and skill development. It will impart specialized career learning and skills development for short, medium and long term professional and career development in partnership with the private sector. BKP says it shall explore and formalize bilateral labour contractual arrangements (MoU Agreements, people to people friendship, Government to Government) with countries where labour laws are of international standards, allowing Bhutanese to work in a safe and secure environment with no occupational and health hazards. BKP will strengthen and incentivize robust micro, small, and medium enterprises (MSMEs) that generate jobs and enhance per capita incomes throughout the country, according to their comparative advantage, and BKP will create and empower a cabinet sub-committee on youth employment. BKP will develop a comprehensive and dynamic education policy for Bhutan’s long term self-reliance, which will provide continuity and priority framework across the five- year plan and beyond. 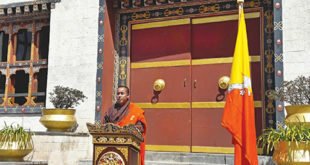 BKP said it will redress the curriculum to bring rightful balance between learning of core Bhutanese values and western knowledge and technologies. It will encourage establishment of more private schools and colleges through the Economic Development Policy and Foreign Direct Investment Policy. BKP will review the Central School Policy to make it sustainable and affordable, more relevant for a minimum age for children to be admitted to central school. The party will also do away with classes on Saturdays in all government schools from PP to grade 3. BKP will provide high quality health care to each and every Bhutanese through increased investment and improved management by posting 2 to 3 doctors in every dzongkhag hospital. BKP said it will improve access to quality health care that is inclusive, responsive, and equitable by establishing CT scan machines in all regional hospitals and X ray and endoscopy machines in all dzongkhag hospitals. The party will ensure that the ambulance service is dispatched within 20 minutes of the first call. BKP shall increase government funding for doctors and nursing scholarships, and one time gift of Nu 5, 000 shall be provided for the birth of every second child. BKP will target an average economic growth at 8 percent, keeping in mind that the growth figure, driven by government expenditure on one hand, and hydropower development on the other. It shall carry out a thorough review of the status of the ongoing hydropower projects as well as those in the pipeline, according greater emphasis and priority in timely completion of the projects already underway rather than embarking on new projects, given the limited absorptive capacity in the Bhutanese economy. BKP aims to improve trade balance by boosting agriculture productivity and promoting export, fund research and development to enable business and industry to grow, and work with the central bank for further reduction of lending rates. BKP will review the provisions of economic development policy to ease foreign exchange restrictions on import of raw materials, and review and implement all policies concerning state resources and make it inclusive, broad based, equitable and sustainable. BKP pledge aims to amend the Mines and Minerals Management Act 1995. BKP will ensure that the Prime Minister receives equal pay as the Cabinet Ministers. BKP will form a government that people can trust, that is transparent and free from corrupt practices of all sorts, including nepotism and discrimination, and one which is in ethics, conduct and manners. BKP will bring in a system that avoids concentration of governance powers in the hand of the Prime Minister or any one individual. BKP says it shall review laws to ensure consistency, currency, and implementation effectiveness through an appropriate law review body. It shall also support and strengthen internal governance systems to ensure transparency, accountability and preventing corruption in close coordination with relevant stakeholders and deepen democracy through enhancement of citizens’ participation and empowerment. BKP pledges to make all highways, dzongkhag roads, gewog roads and urban roads pothole free, provide 24 hours drinking water in all homes and develop affordable housing in various centers through home ownership schemes. BKP will provide safe and efficient public transport enabling free and easy, movement of people, goods and services. In particular, BKP will aggressively support measure to decongest large urban areas by introducing mass public transport facility along with required infrastructure beginning with Thimphu. BKP will construct Shingkhar Gorgan Highway, Nganglam Dewathang road and access bridge over Mao Khola in Gelephu. BKP shall support women and child welfare and development and accord high priority at all levels through health care, nutrition, education and policies. BKP will enforce the Labour and Employment Act 2007. It shall also address the needs of citizens with special needs ensuring disable friendly infrastructure. BKP ensure the rights of sexual and gender minorities and other section of LGBT group and enhance the dignity of their lives.BKP will also build shelters for the needy and less fortunate incorporating cultural, local, traditional and modern amenities. BKP will exempt all pension payouts from PIT from the tax year 2018 and correct the pension rule to allow senior pensioners to receive annual increment and avoid the situation of pension stagnation. BKP will enact a National Pension Law. BKP will adopt measures to provide the elderly with adequate medical facilities and other support and health care.